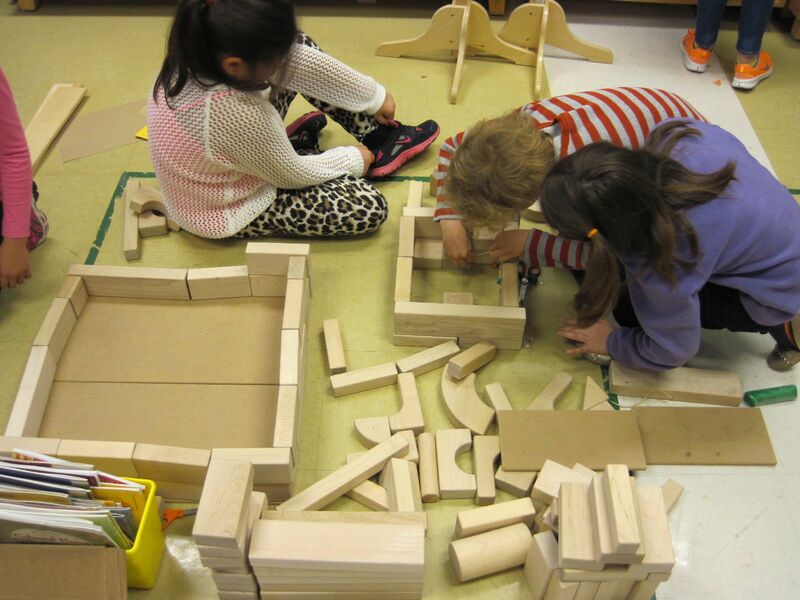 Play is in danger of disappearing from primary classrooms, and it shouldn’t be. But I’d like to raise an alarm bell that play is extinct in classrooms for every American child over the age of seven. Yes, there are a few exceptions to this, but not too many. It seems that play is something policy makers think kids need because they’re kids, and they can still get a lot of it outside of school. They may claim that more “rigor” is necessary for college and career readiness. I argue that play has unique benefits to learning and life success, which cannot be found in strictly academic settings. Imagine this: You’re an upper elementary or middle school teacher, and somehow you find yourself walking in the primary hallway or wing of a school. You stop to peek into a kindergarten classroom during that magical event known as choice time. 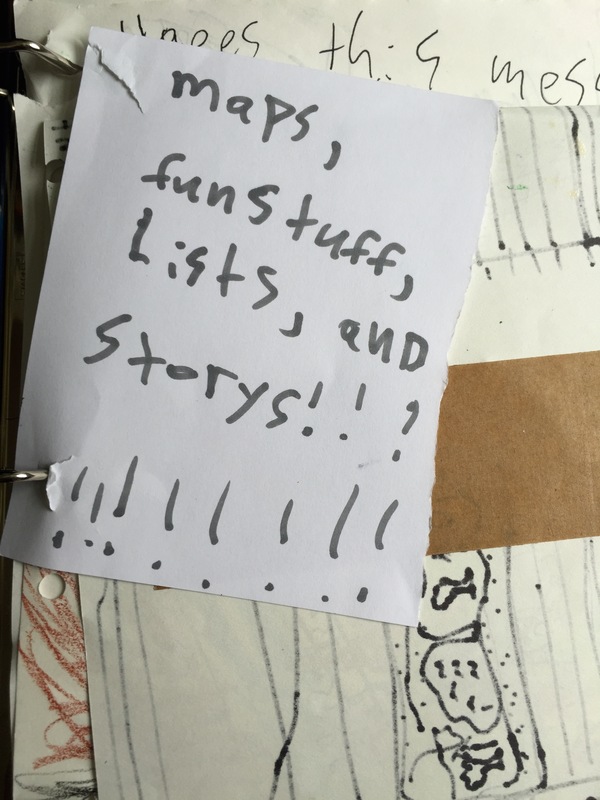 You know you’re supposed to go copy a very important practice sheet for the state test, or maybe you need to grade that giant stack of literary essays. But from inside the classroom a tiny face catches your eye. “Are you hungry?” the little boy asks. He’s working with a few other impossibly small children in a play kitchen area. “What do you have?” You ask. A girl comes over and hands you a paper labeled, “menu.” There are some pictures of food labeled with a few letters. The kids work as a team to get plates and a cup, serve from the pots on the stove, and pour from a teakettle. They bring your order and you eat it with your hands. The boy gives you a cloth napkin, which you use to wipe the imaginary food from your hands and face. “That was amazing! I’m going to go write a Yelp review of this place right now!” you say. The kids look at you quizzically as you return the dishes and make your way back to your very important work. You just played! Sure, it was fun and cute, but you also did something really important for your brain. You adopted a playful mindset. You just created space for possibilities you hadn’t imagined before. Clams and oatmeal on the same menu, a meal consisting of these paired with hot chocolate. Dining with no utensils, but, somehow, a cloth napkin. 15 minutes ago this combination of variables didn’t exist in your vision of how things tend to go, but now it does. Congratulations! This micro-expansion of your worldview happens every time your vision of what’s possible takes in something new. “Clams and hot chocolate. Of course!” You were willing to try something in your imagination that you not only wouldn’t have tried, but— and this is the crucial piece— it was something that wouldn’t even have occurred to you to try. Experiences like these create pathways in the brain that enable us to consider more readily unusual, inventive, creative, resourceful ways of doing the things we need to do. These are also the pathways needed to solve problems that haven’t been solved before and to create things that didn’t exist before. These benefits combine and work together to feed a mindset that is flexible, creative and courageous. This is my claim: A playful mindset is not just helpful for college and career (and life, adulthood, relationship and happiness) readiness, it’s necessary. Necessary. I had to say that twice. A small clay man hangs from a gallows. I wonder what he did. Gray’s writings about play led me to the work of George Eisen, author of Children and Play in the Holocaust: Games Among the Shadows (Amherst: University of Massachusetts Press, 1988). Eisen interviewed survivors of the Holocaust about the kinds of play children engaged in while in work camps or concentration camps, and found that they created games that enabled them to cope (as well as one can) in horrific circumstances. Some of their play actually developed survival skills, some of it involved fantasizing about overcoming their captors, and still other play helped them make a kind of sense out of their experiences by removing them from reality. I thought about how children who have been traumatized often “tell” others what happened to them by role-playing the trauma with dolls- it’s less threatening to have toy characters experience the difficulty as surrogates than it is to retell the events as they happened. Children use play NOT as a way to escape difficulty but to survive it, to understand it, to have a way to deal with it- the opposite of escaping it, actually. We spent two weeks in the block room. 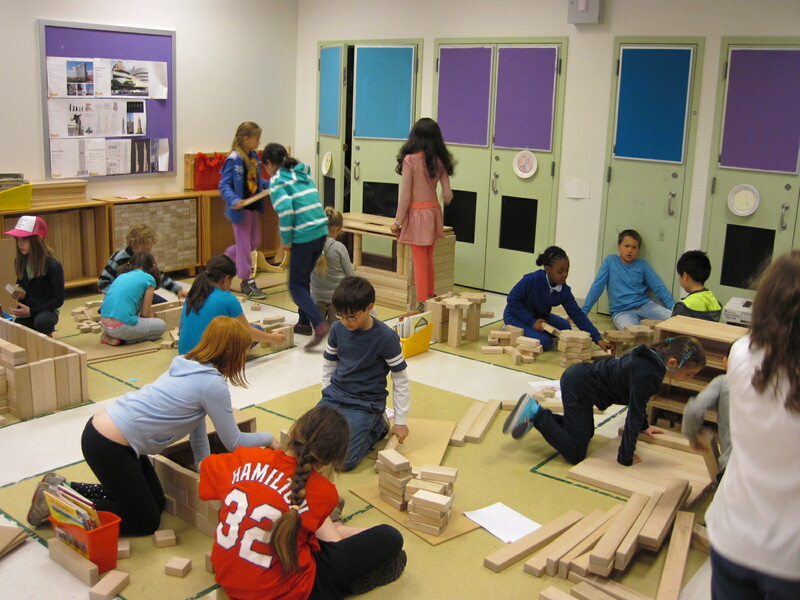 We built a settlement of sorts, referring to a large selection of books to help us design, build, furnish, and outfit the structures. The settlement included a farm/garden area, a barn, a church, a house, a close-up of a kitchen, a smokehouse and food storage area, a grist mill, a government buildings complex, and an overview of the settlement highlighting protection from internal and external threats. Well, it’s the New York State math test this week, so I signed up for the block room again. This time it’s a little different though. We’ve just started learning about colonial America. On Monday we looked at a painting of the Speedwell, talking about the people and the journey they were about to make, and the story the painting might be telling. That got us talking about how a group of people might need to set things up when they get to a new place that’s totally unfamiliar, lacks the resources they’ve come to take for granted, has resources they might not know how to use, and is home to very unfamiliar people. 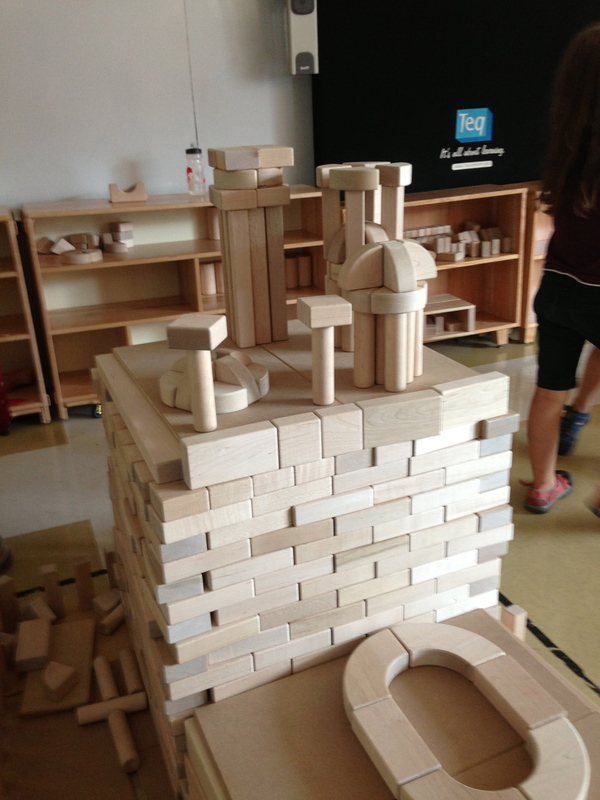 This is about when my own personal line of inquiry about learning through play popped into my head. 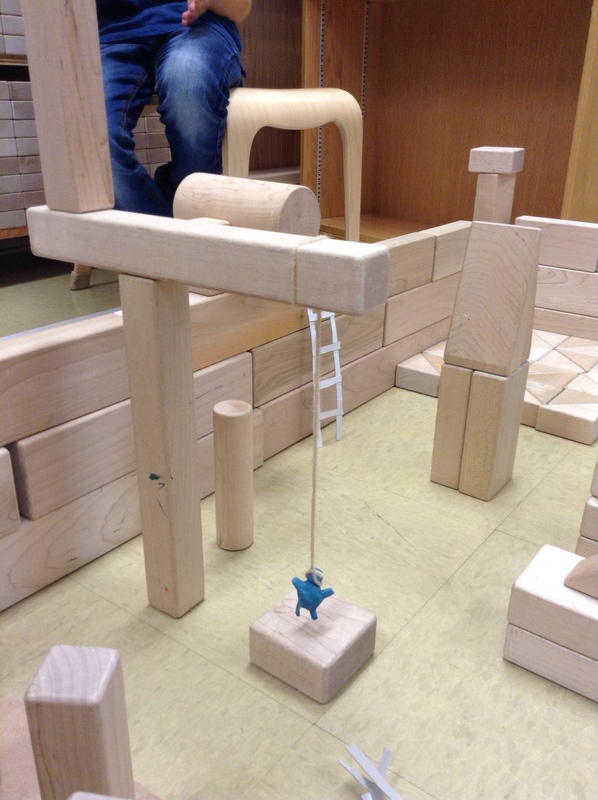 Of course history provides wonderful content that can be accessed through play. I had been thinking with my grade-level colleagues about how to make the beginning of the study feel more active and exploratory- more of a way to stimulate curiosity. I had already signed up for the block room several weeks ago, and it just seemed like a perfect match.